I am writing from the city of Shenzhen. Last week, my friend and I completed a one-week tour of China. 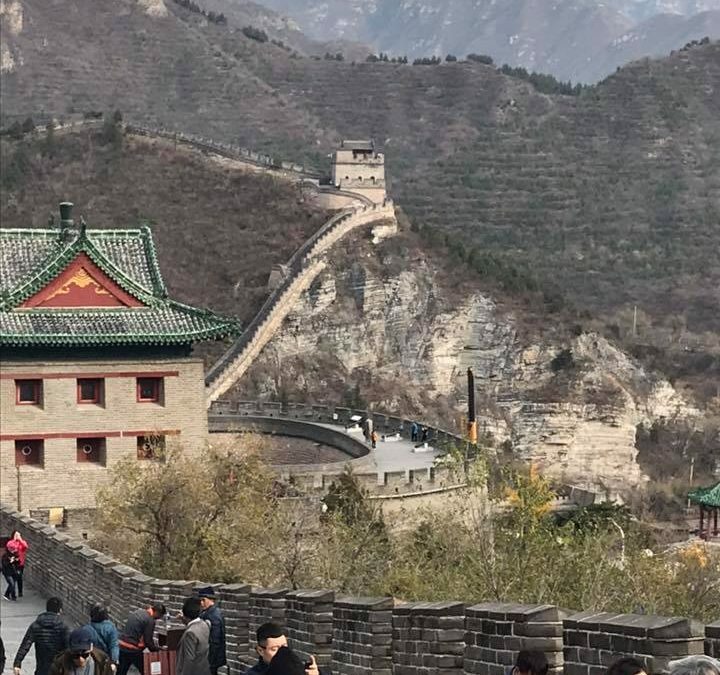 It was an organized tour with twenty-six other tourists, one of whom we adopted because she was traveling alone, that began on a remote part of the Great Wall of China. After climbing to the first landing, we were faced with another daunting climb of 1,500+ steps that brought you to a view of the top of the Great Wall. It took everything I had to reach the top. The steps were incredibly uneven and keeping my balance was a challenge. I needed several breaks along the way to catch my breath, but I made it to the top, singing the Rocky song on the last few steps. As I positioned myself on the top step for a picture, I noticed people walking into a stone building with a peaked roof a few feet away. My fellow climber and I followed the other tourists, and, much to my dismay, we realized it was a gateway to even more climbing. In fact, we only climbed about one-fifth of the way possible! The wind was ripped from my sails. I had a decision to make: Was I going to attempt to climb further, or was I going to stop? My body didn’t give me much choice. I imagine if someone had a gun to my head, I probably could have climbed more, but without that external pressure, my body loudly said enough. A lot factored into my decision to stop climbing. I thought about how much I don’t like to quit. I thought about how competitive I am, and I didn’t want to stop while my friend continued to climb. I berated myself for not exercising more so I’d be fit enough to finish. I thought of my other friend who stopped much earlier than I did. After spending a good bit of time comparing myself to others, I was able to redirect my thinking and thought about what I really wanted. Did I want to climb so far that I couldn’t enjoy the rest of my time in China because of sore legs? Was it so important to win? What does winning even mean? Am I looking for a personal best, or am I trying to beat someone else? When my crisis of identity was over, I realized I needed to be smart for the good of my overall health. Climbing further up the Great China Wall was a missed opportunity that I definitely regret; I truly wasn’t physically capable of reaching the top. 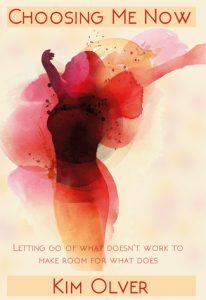 Once I stopped berating myself, I realized this obstacle presented a lesson. If I want to be able to meet physical challenges, I must exercise more often than I do now. I believe I am in decent shape, but I want to be better. Because I believe in the growth mindset, I don’t believe ‘use it or lose it’ is the end of the story. It’s extremely difficult to use a squatting toilet after developing painful quads. Do not compete with others but always work for your personal best. Push beyond your limits but know when to stop for your physical and emotional health. If there are things you want to do that require either physical or mental agility, practice these things on a regular basis. Unless you make the investment to maintain them, you can’t count on them to always be there. My most important lesson of the day was about girlfriends. Girlfriends are essential for a woman’s soul. They bolster you when you need courage, challenge you when you need to push forward, and applaud your accomplishments, big and small. If you don’t have girlfriends to climb your great wall, whatever that is, I suggest you audition some today.